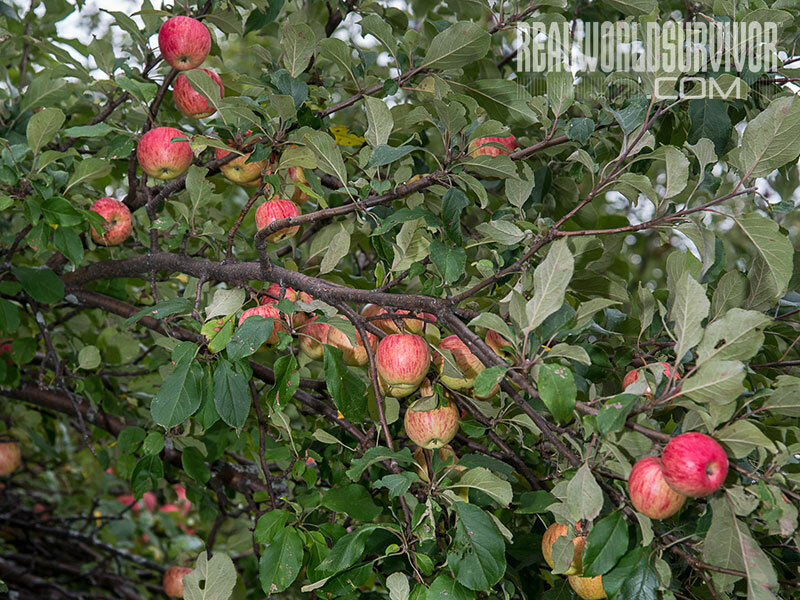 For bountiful backyard orchards, learn how to put beneficial fungi to work in your soil! The Fungal system beneath a tree is critical because it brings minerals and nutrients to the tree via its roots. Ramial wood chips are almost magical when it comes to the good stuff within their core. 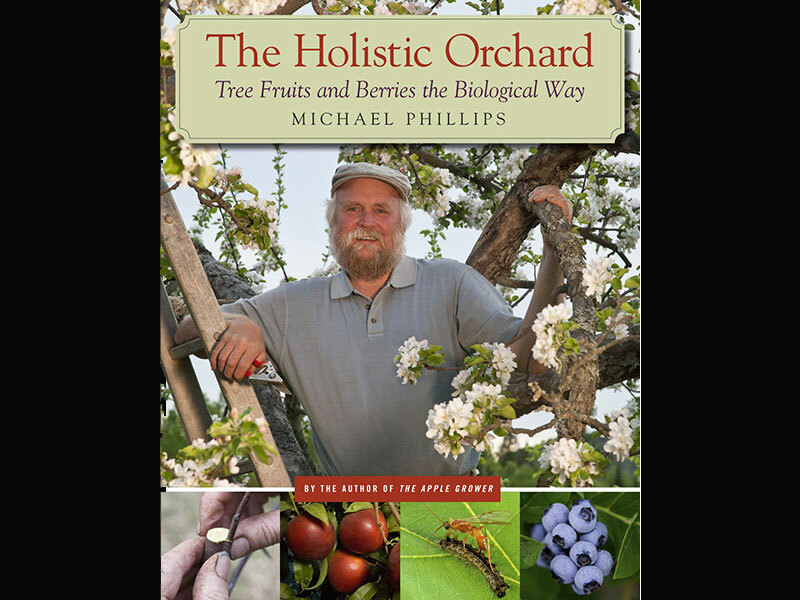 Michael Phillips grows fruit trees from the ground up, rather than giving them yearly doses of chemical fertilizers. 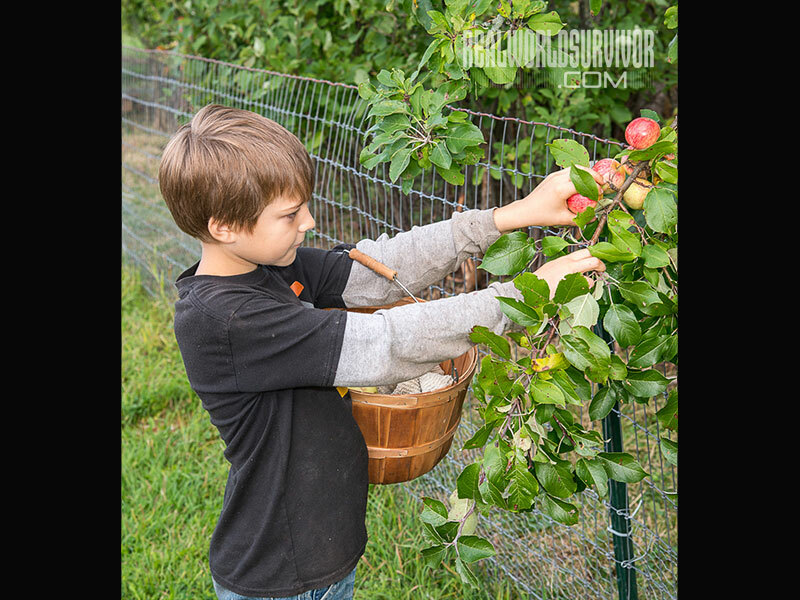 Brandon Thomas of Spring Mountain Living picks an apple on his family’s Michigan farm. 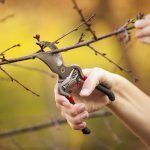 When you prune a fruit tree, you are helping to determine next year’s crop load and quantity. 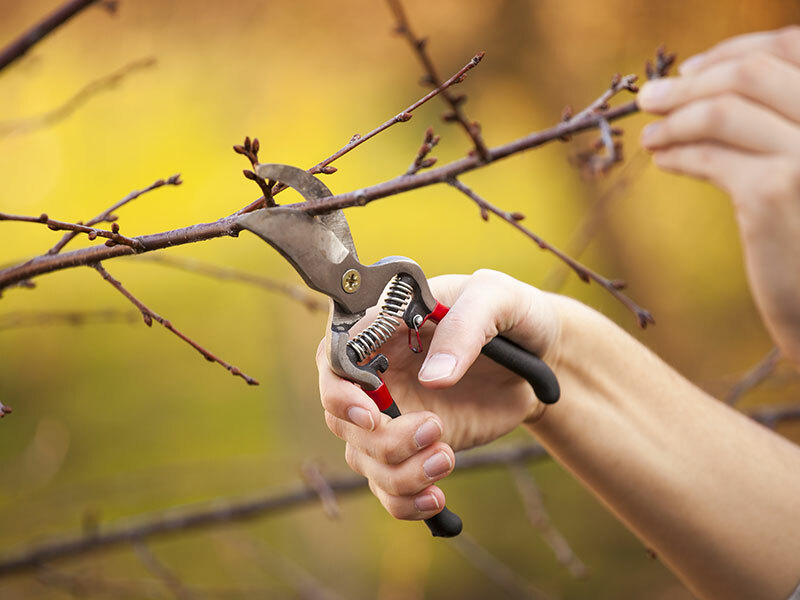 Always use sharp, clean pruning shears to discourage disease. 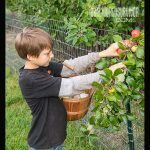 Having trouble managing your orchard? 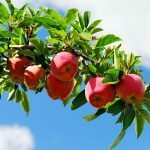 Do your fruit trees look sick? 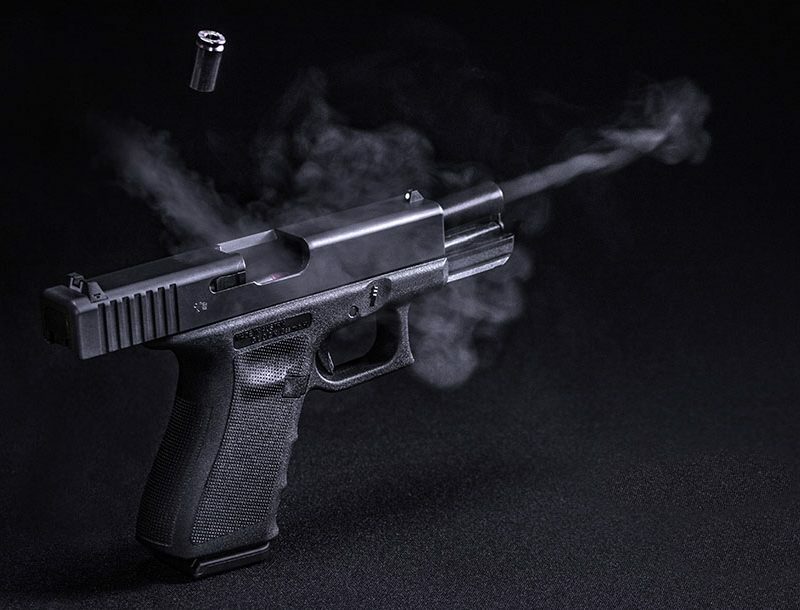 Are you chasing symptoms with the spray of the week? 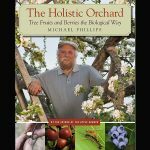 Michael Phillips of New Hampshire, renowned fruit grower and author of The Holistic Orchard and The Apple Grower has been pursuing a more common sense and back-to-basic way of fruit production for decades. Not only does he have his own extensive orchard, he provides consultation for others who wish to shift their growing practices, and is the force behind the invaluable website groworganicapples.com. He doesn’t wait for signs of trouble to appear. He starts with the soil to build healthy trees that can withstand disease or pest pressure while producing far more nutritious fruit. In an ideal situation, a tree is situated in an area that has an entire ecosystem at root level. Mycorrhizal and saprophytic fungi create a living web where nutrients are exchanged in a symbiotic relationship with the trees and plants. 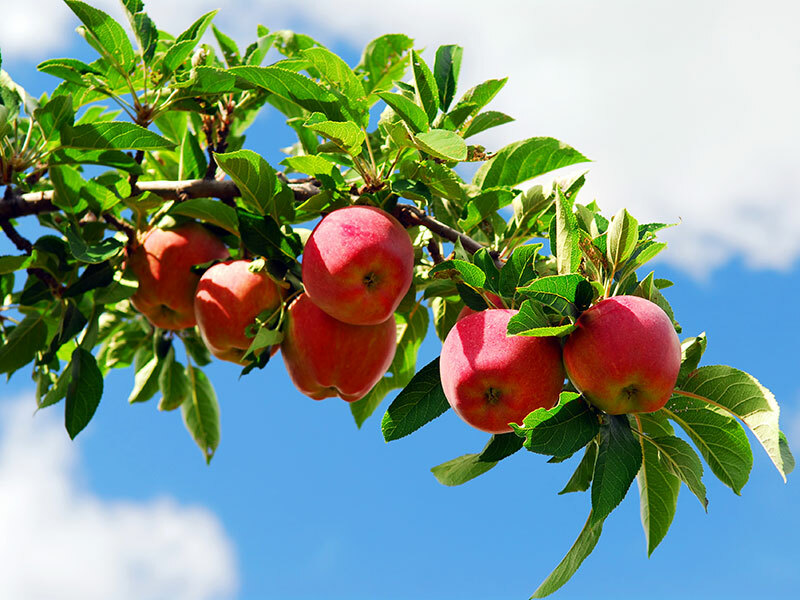 The tree provides sugars that they need and, in turn, these fungi bring the tree the nutrients and minerals it requires to resist pests and diseases and produce quality fruit. If there’s a disease situation, the conventional approach is to use a fungicide to eradicate it. Think about this. If a strong fungal web is crucial for tree health, we are doing the tree a disservice to have a fungicide drip down into the soil. If you kill the fungi that are bringing good things to your tree, there most likely will be more pests and diseases when your tree doesn’t obtain what it needs. And then you’ll have to treat the tree some more. It’s a vicious cycle. 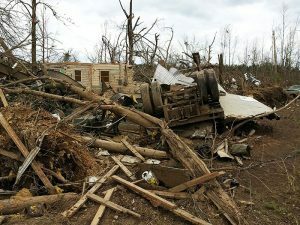 “Most people do not understand how soil biology and mineral components even factor into the process of creating a healthy tree,” said Phillips. He says two-thirds of the sugars from the tree go down to the roots and trade with fungi for the nutrients they need. Efficiency in this process comes from the right mineral balance. According to Phillips, it boils down to the fungal ecosystem. He noted, “In a fungi-centric ecosystem, the tree is getting its feeder roots to nutrients in the humus.” As more of the tree’s nutritional needs are met, it naturally has more reserves to resist disease. And when the tree ultimately has reserves, it sends that energy as essential oils, fats and other nutrients into the fruit. “It’s creating more nutrient-dense fruit,” said Phillips. He said that the proverb “An apple a day keeps the doctor away” is only relevant when you know how the fruit was grown. Healthy soil equates to healthful fruit. 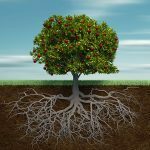 Since the fungal system beneath the tree is critical, because it allows the transference of minerals and nutrients to the tree via its roots, you need to understand how to create it in your home orchard. It’s all about creating fungal duff. When you’re considering creating or improving your orchard, you really must think of the ground first. One of the most effective ways to kick-start—and maintain—the process is to incorporate ramial wood chips into your orchard floor. Ramial wood chips are the tips and small sections of deciduous tree and shrub branches, typically 2.5 inches or less in diameter, that are chopped up (not shredded). 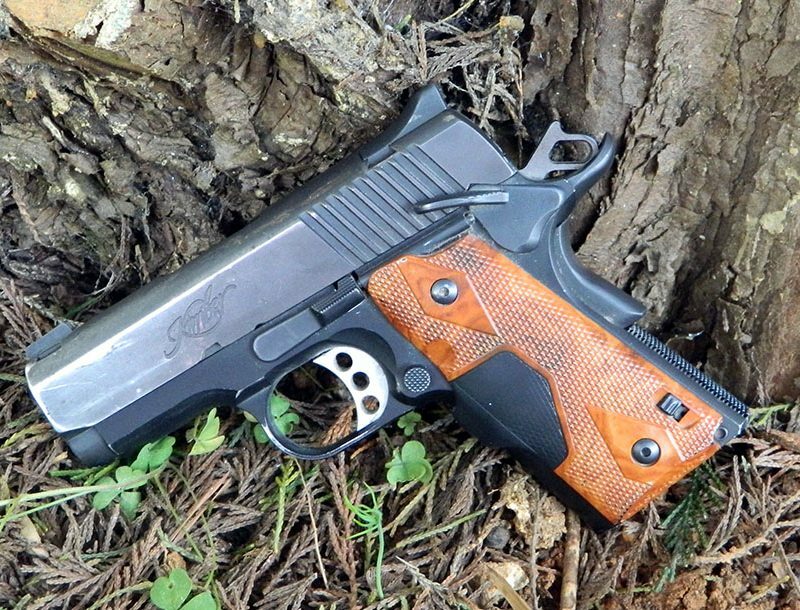 Avoid using parts that are larger than the 2.5 inches since the carbon ratio within the wood increases dramatically, requiring a different decomposition process (and a lot more nitrogen) to break down the large pieces. Ramial wood chips are almost magical when it comes to the good stuff within their core. Research indicates that the outer tips and smaller sections contain high concentrations of nutrients and minerals. When these parts are chopped and returned to the soil, the trees and plants benefit. Phillips pointed out that the deciduous aspect is important since softwoods like evergreens have components such as tannins that inhibit fungal growth. (If you have a little softwood material, you can certainly incorporate it, but it shouldn’t be more than 20 percent of your total wood materials.) But other than avoiding a higher ratio of softwoods, practically any deciduous tree or shrub is good to use. “Wood chips can take the form of prunings. Cut them into small enough pieces so they go into the food web,” Phillips said. When you have a decent-sized load of ramial wood chips, spread it directly on the ground 2 to 8 inches deep in a 24- to 30-inch wide ring around the drip line of a tree. The key is to have the wood chips in direct contact with the soil so the fungi can do their job. Once again, picture how it’s done on the forest floor. Don’t turn or till it into the soil since that is where bacterial decomposition takes place, tying up nitrogen in the process. Besides the ramial wood chips, Phillips utilizes the perennials and shrubs growing on his property. Raspberry prunings are cut and are strewn underneath the trees, and the tops of plants—such as comfrey, dandelions, lemon balm, pea shrub, and many others—are cut and left. Comfrey is well known in permaculture circles as a practically miraculous plant that pulls calcium and other minerals from deep within the soil through its extended taproots, then deposits it in the leaves during growth. When the leaves are cut and allowed to remain in place along the ground, the minerals are made available to the feeder roots of the trees. This is the opposite of what happens in a traditionally mown orchard setting with trees surrounded by grass. 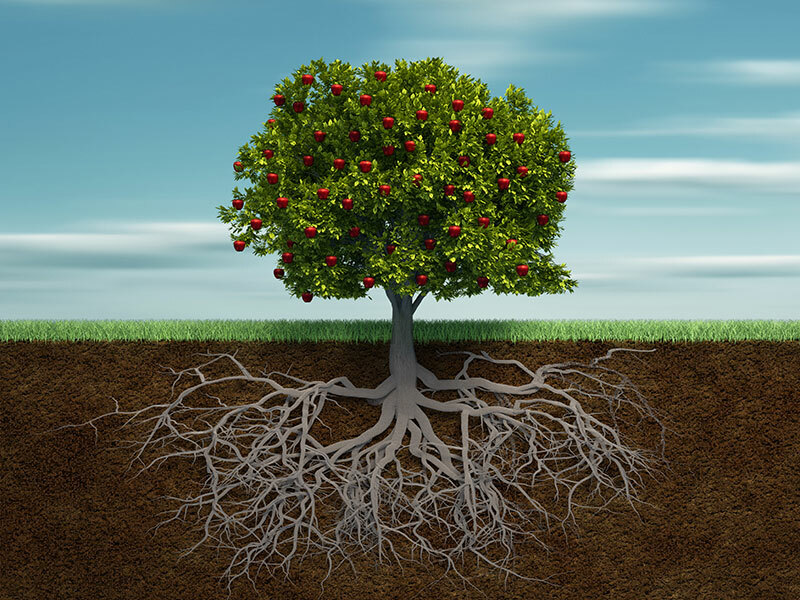 If you have nothing but grass around your fruit trees, you’ll notice that the soil is packed with their roots. “They produce a dense sod and a dense root system,” said Phillips. Feeder roots of the fruit trees can’t compete very well with this highly competitive situation and must go deeper, in essence making the tree work harder for its nutrients. The mycorrhizal fungi also abandon the area because there is no humus or fungal duff. The result is that you need to supply the tree with its requirements because it’s not receiving them naturally. By planting a mix of perennials below the tree instead of grass, you are recreating the preferred natural habitat for them. 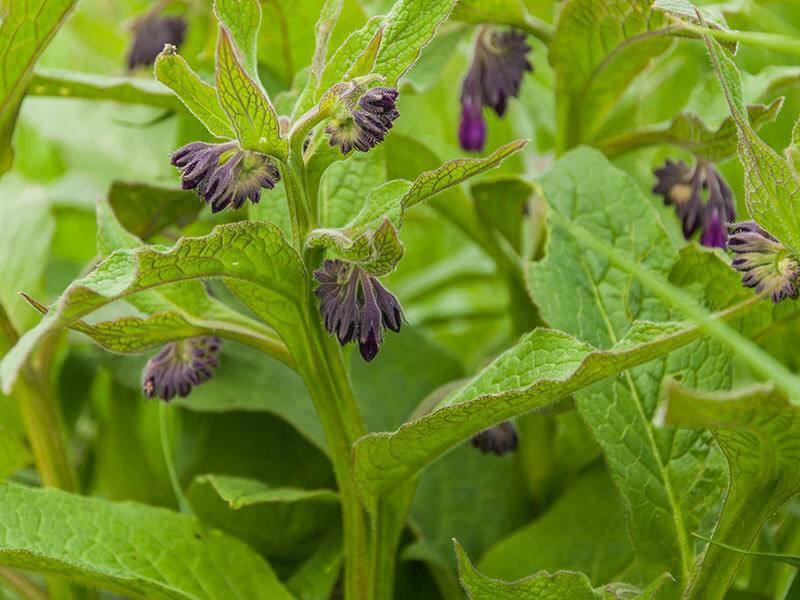 Comfrey pulls calcium and other minerals from deep within the soil through its taproots, then deposits them in the leaves. Don’t rake them up and the feeder roots of trees will pick up the minerals. Besides the ramial wood chips and a mix of plants situated below the tree, Phillips incorporates additional materials such as compost into the biological mix. Orchard compost is a different animal than the type we typically use in the garden, but it starts the same way. “Through the year we’re building garden compost piles,” said Phillips. He’ll create piles consisting of alternating layers of green (kitchen scraps, fresh lawn or garden clippings) and brown (leaves, dried garden materials) organic matter that are 3 to 4 inches thick. This is the ideal recipe for your traditional garden compost pile. “But I don’t turn it,” he said. In six to eight months he’ll move it with his tractor and dump it along the edge of the orchard for the winter. He said he might add alfalfa meal for a little extra nitrogen to keep it “cooking” during the colder months. “In between there’s also the dusting of Azomite and gypsum,” Phillips noted. Azomite, which stands for “A to Z of minerals including trace elements” is a valuable product allowing growers to add many of the materials that have been depleted from native soils. The gypsum is a calcium source, as well as a terrific amendment to improve clay soils. Phillips also always adds earth to the pile to incorporate the microbes into the process. After the amendments are added to the second pile, he allows it to set for another four to nine months. When you’re considering creating or improving your orchard, you really must think of the ground first. “This is the first half of what you need to do,” said Phillips. He has plenty of practical advice on the horticultural aspect as a second piece to the puzzle, but stresses that if people do nothing else, working on creating optimum soil conditions for the fungal systems is critical. With this in mind, take a look at what is growing beneath your trees and take that first step to improve it. Find a ramial wood chip source and spread a layer under the drip line. Remove the sod, plant a variety of perennials and start on creating a compost that will supercharge the fungi below the soil. Improvement is not going to happen overnight, but with each step you’re on your way to healthier trees. This article originally published in THE NEW PIONEER® Winter 2015 issue. Print and Digital Subscriptions to THE NEW PIONEER magazine are available here.